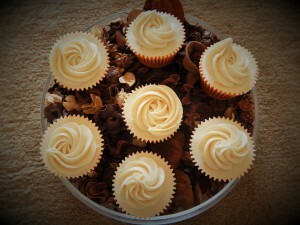 Cannot believe that I have been baking for over 6 years and I haven’t yet written up a recipe using Baileys! This recipe has been dedicated to my Wonderful Auntie who passed away recently at the age of 49. She finally lost her battle with Cancer and one of her dying wish was to enjoy a bottle of Baileys with her family. So a few nights before she passed away we cracked open a bottle and celebrated her life! In a clean, dry bowl, add your butter and beat continuously for 5 minutes. After 5 minutes you will notice that the colour will change from a yellow colour to a pale cream colour. Once this colour change appears, add in your sugar and beat again until the texture becomes light and fluffy. Add in your eggs one at a time, ensuring that each egg has been well mixed in before the next addition of egg. Now, in a separate bowl, add your dry ingredients, this will include; flour, baking powder, salt, cocoa powder and mix well with a spoon. Next, add your flour mixture to your egg mixture 1/3 at a time, ensuring that all of the dry ingredients has been taken up by the egg mixture before the next addition of flour mix. Once all of the ingredients have been added together, spoon your cupcake mix into the paper cupcake liners until they are 2/3 full. This will leave enough room for the cupcakes to rise in the oven without over-spill. Place your cupcake batter into the oven and bake for 15 to 20 minutes. Once your cupcakes are ready, they should spring back to the touch or you will be able to insert a skewer into the centre of your cupcakes and be able to remove it without any batter coming off onto to skewer. Once the cupcakes are ready, remove them from the oven and leave to stand in the cupcake baking tray for 10 minutes. Once this 10 minutes is up, remove them from the baking tin and leave to stand on a wire cooling rack, until they are completely cold. In a clean, dry bowl add your butter and beat until there appears to be a colour change from yellow to pale cream. After 5 minutes of beating the butter, add in your icing sugar a spoon at a time. DO NOT use an electric mixer as the ici ng sugar will end up everywhere else other than in your butter cream. Once all of the icing sugar has been incorporated into the butter, you will find that the butter cream will be extremely thick. 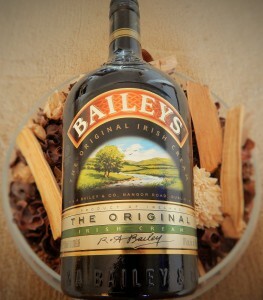 Take your Baileys and add in spoonful by spoonful, until the texture becomes smooth. 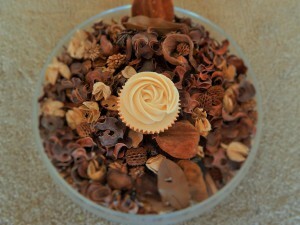 Pipe your butter cream onto your cupcakes and EAT! Hope you have enjoyed this recipe and please feel free to share this! Hi, How many cupcakes does this make? Would you double it to make a 1 cake or would this recipe be enough? Yes you can use self raising flour, still use 1/2 tsp of baking powder. Enjoy!